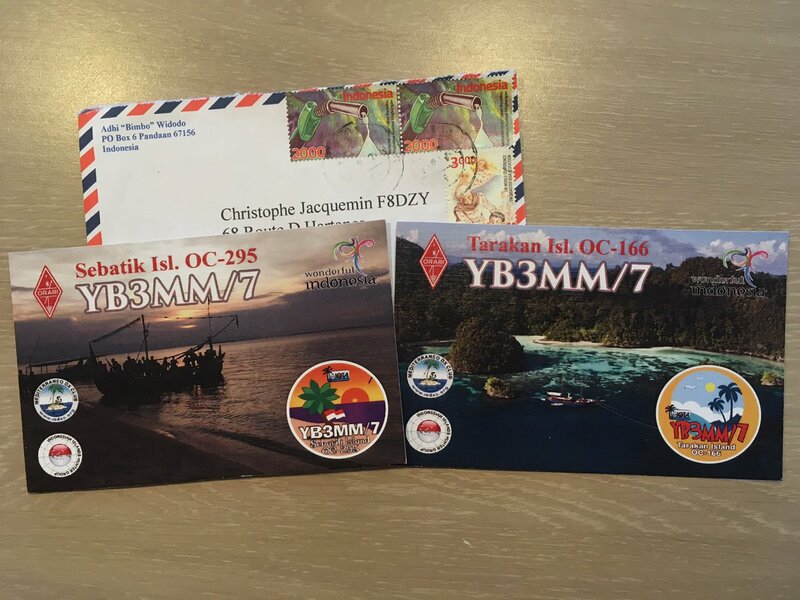 F8DZY "Ham Radio only...": YB3MM/7 IOTA OC-166 & 295 in the mail ! 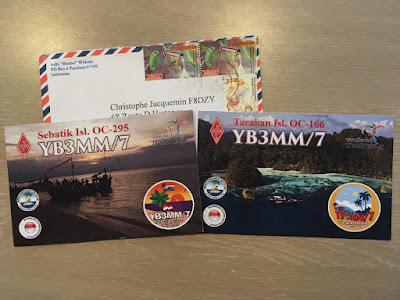 Hi, yesterday I received 2 nice QSLs from Adhi YB3MM for our 2 QSOs from IOTA OC-166 Tarakan Island and from IOTA OC-295 Sebatik Island ! 2 new confirmed islands bringing my total to #496... Thanks !